Mercedes-Benz Stadium, home of the Atlanta Falcons and Atlanta United, and host of Super Bowl LIII last month, announced that it will go cashless, becoming the first stadium in the National Football League and Major League Soccer to do so, according to a press release. 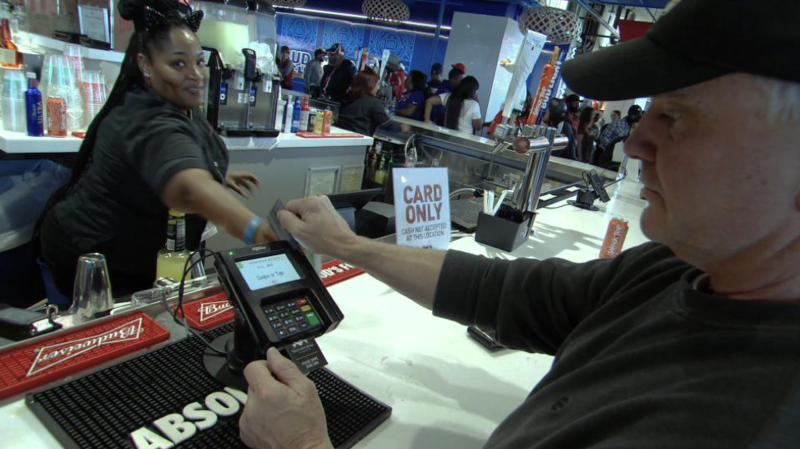 The stadium tested cashless transactions extensively during the Super Bowl. According to the release, MBS processing partner NCR Corp. completed 76,446 transactions during that game, a single-event record for all sports venues served by NCR. The cashless policy will be fully implemented on March 10, with Atlanta United's first home game of the season against FC Cincinnati. Stadium officials said the cashless model will make it easier to adjust food and beverage concession prices, as the stadium has made several major changes in pricing, slashing concessions prices by 50 percent a couple of years ago, and as of March 10, reducing the prices of several items by an additional 50 cents. Previously, concessions were priced in whole dollars to speed up cash payments. Going cashless allows the stadium to raise or lower prices incrementally, the release said. "Arthur Blank repeatedly challenges us to find innovative ways to improve operations across our businesses," AMB Group CEO Steve Cannon said in the release. "As we've always said, it's incumbent upon us to listen and respond to our fans, and we've heard that value, quality and speed of service are incredibly important. Therefore, we've made operational adjustments that address each of these areas."